Please join us on Monday, June 19th (the rain date! 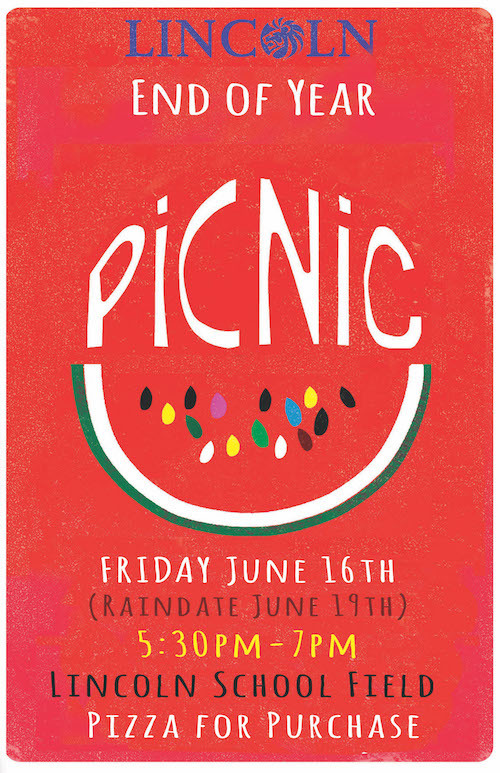 ), for the Lincoln End-of-Year Picnic, beginning at 5:30pm. Pizza available for purchase or bring your own food.